Composer and guitarist Juan Falú (Tucuman, Argentina) is a cornerstone of contemporary Argentinean music. His compositions are established in the repertoire of international musicians. As an interpreter, Juan displays an innate command of improvisation. 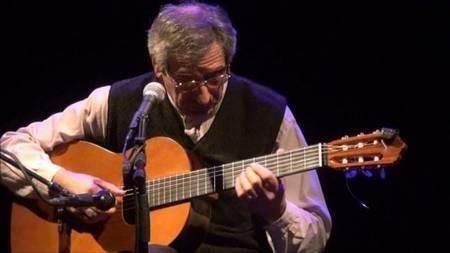 Classical guitarist Eduardo Fernandez has called him “a real time composer.” He received the National Music Award (2000), the Clarin Prize (2001and 2008) and the Gardel Prize (2008). He has offered concerts in prestigious halls in more than thirty countries. His recordings include 24 albums as soloist, and more than 50 as guest of other artists.